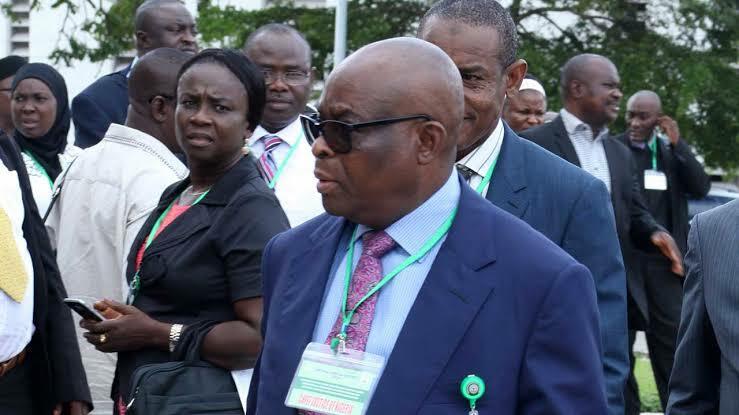 The Economic and Financial Crimes Commission has rested its case of alleged misconduct against the suspended Chief Justice of Nigeria, Justice Walter Onnoghen, at the National Judicial Council, According to report. Our correspondent learnt from multiple sources conversant with the proceedings of the five-man investigation panel of the NJC that the EFCC rested its case after calling seven witnesses. The commission was said to have called its first witness on March 12 and rested its case within one week. It was learnt on Sunday that Onnoghen has since opened his defence and called two witnesses on Wednesday, March 20. “The EFCC has rested its case and Justice Onnoghen has opened his defence. With this, we expect that the NJC will soon end its investigation,” one of the sources told our correspondent. In its petition before the NJC, the EFCC, it was learnt, accused Onnoghen of having some suspicious lodgments of huge funds in his bank accounts. The other petition against the suspended CJN was reportedly by a civil society group, the Anti-Corruption and Research-Based Data Initiative, and its Executive Director, Mr Dennis Aghanya. The allegations in the petition sent to the NJC by the group were said to be a replica of the petition sent to the Code of Conduct Bureau which informed the six counts filed before the Code of Conduct Tribunal accusing the suspended CJN of failure to declare some bank accounts with huge funds in foreign currencies as part of his assets. The NJC had at its February 13, 2019 meeting reviewed the pre-assessment report on the petitions written against Onnoghen and the acting Chief Justice of Nigeria, Justice Tahko Muhammad, and considered the complaints worthy of being investigated. The council then set up the five-man panel led by a retired Justice of the Supreme Court, Justice S.A. Akande, to investigate the petitions. There are at least two petitions against each of Onnoghen and Muhammad to be heard by the Justice Akande-led panel.